Koolatron Komfort Orthotic Insoles Women's 5-5.52.0 ea. Are Aches and joint pains preventing you from doing the activities you love? What ever your journey. Keep on walking in comfort. Take a step in the right direction by caring for your feet as well as your posture with Komfort Orthotics. 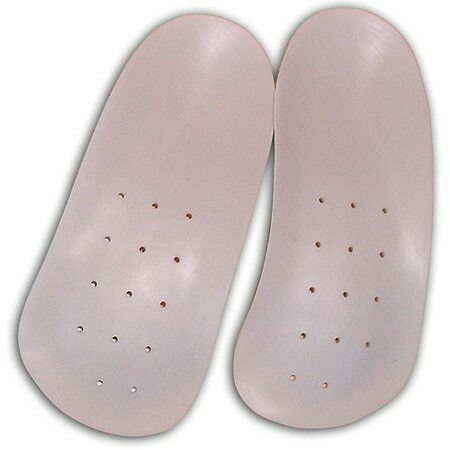 These insoles are perfect for athletes, seniors or people who are on their feet all day. They are designed to align your body from the feet up. When your body is out of alignment, your whole body suffers. Komfort Orthotic Insoles puts your body back in balance so you can stop suffering from the pain caused by poor alignment. Komfort Orthotics insoles are moulded insoles that are contoured to the sole of the foot. Orthotic Insole are designed to support the Biomechanical function of our feet, stabilising and realigning them into the optimal position. Prevent the feet from rolling inwards and also supports the arches from flattening. This improves body posture, preventing a variety of conditions that may lead to foot, knee and lower back pain.Excessive pronation combined with poor posture of the foot and leg can cause foot, knee and back problems. These related problems can be treated effectively through the use of premoulded Orthotics Insoles. This orthotic is designed to suit the majority of people who require extra support and control of the position of their feet. Available in men and women's sizes. 'Komfort' Orthotic Insoles are designed for footwear that features any type of removable innersole, including most sports shoes and walking boots. Simply remove the existing innersole and replace them with the Orthotic Insoles. Designed to support and help re-align the excessive pronating foot, that is the main cause of Pes Planus (Flat feet).